Employees and residents from IRT Kangara Waters at The Shed. 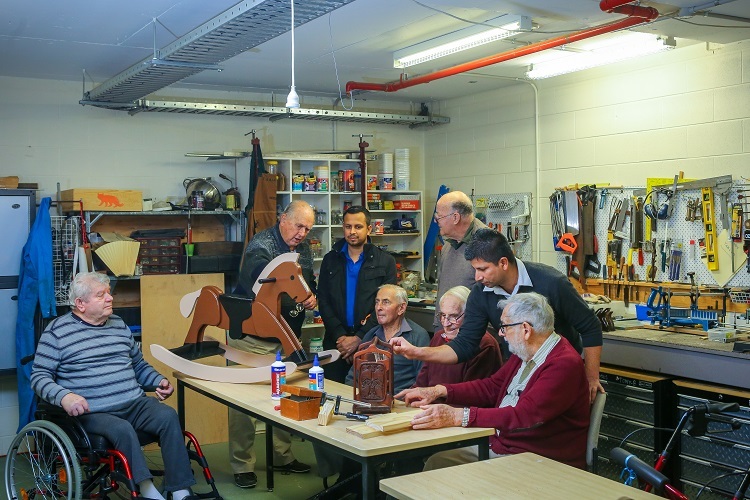 The men’s shed at IRT Kangara Waters has welcomed aged care centre residents – a move which has been a great success. 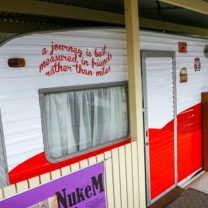 IRT Kangara Waters men’s shed now welcomes residents from the community’s aged care centre and the move has been hailed a success. 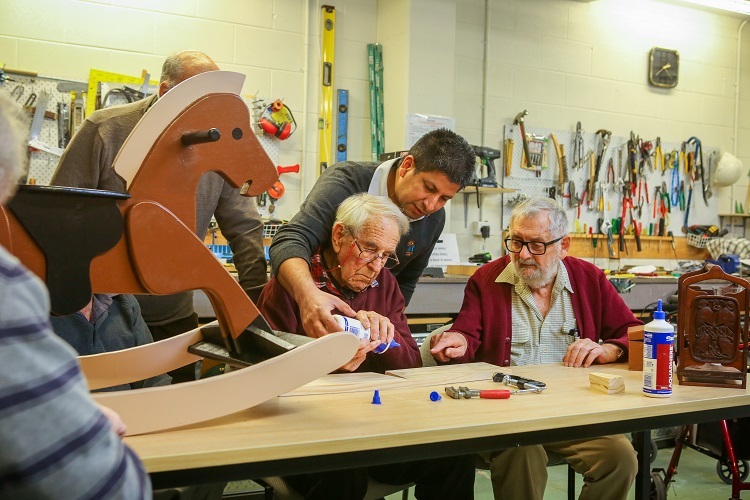 Lifestyle Officer Gaurav Kumar says the original men’s shed, known as The Shed, opened some nine years ago, but now men from the aged care centre have been using the space since mid-2017, after they requested activities specifically for them. “The men were asking for activities to do and it was suggested they get involved with the men’s shed,” he explains. 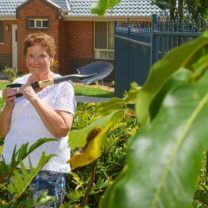 ACT and Eurobodalla Business Manager Margaret Thornton also made that suggestion, and discussions between lifestyle staff, volunteers and residents followed, and the invitation was extended to residents in the aged care centre. Gaurav says extending the invitation to more residents has been a great success. Lifestyle Officer Gaurav Kumar works with IRT Kangara Waters residents at The Shed. He explains when the men from the aged care centre are busy in The Shed it creates a sense of calm and a relaxed feeling too.